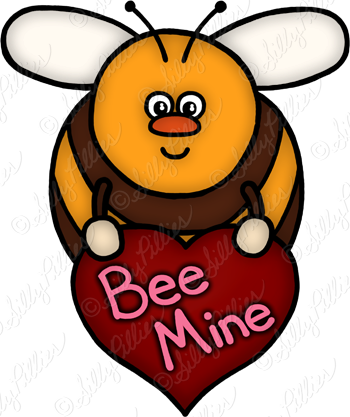 My latest images have been Valentine's Day themed. It's not my favorite holiday as an adult, but I do love the cute decorations! 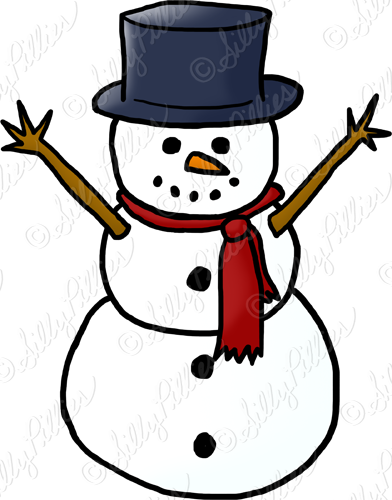 Making this clip art is reminding me how much fun the day can be for my creative side. I liked it much more as a kid, when teachers gave us supplies for creating little mail boxes or pockets for valentines. Mine usually ended up covered in paper doilies. I also loved picking out valentines and figuring out which ones to give to whom. It was important to be careful that no card could possibly make the recipient think you "liked" them! Clipping in a Winter Wonderland! Life has been quite crazy lately, but I've finally managed to squeeze in the creation of another set. 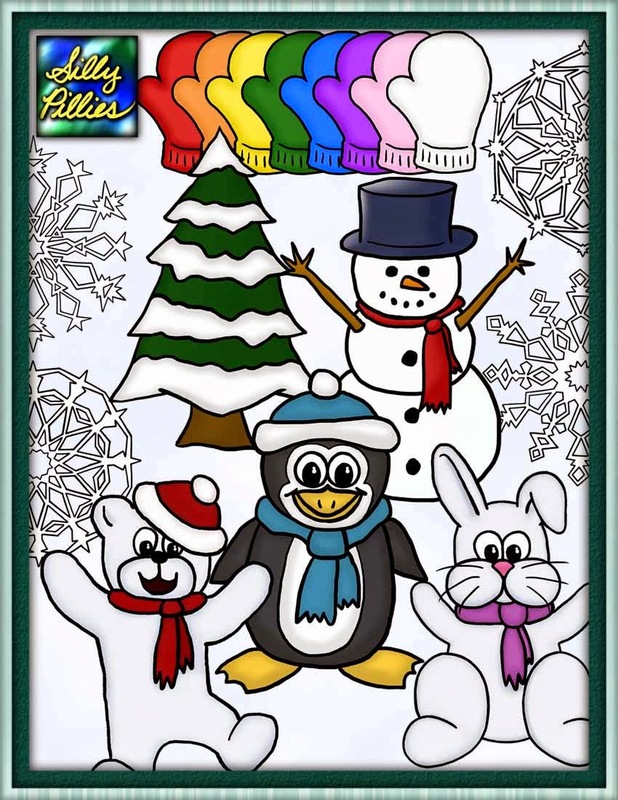 Check out the new Winter Clip Art pack in the shop, on sale for the first two days! Winter is one of my favorite times of year. I've lived in Los Angeles for the last few, which means I missed out on all the fun (and frustration) of snow. I still love it, and the season just doesn't feel right without it. I have so many memories of creating paper snowflakes in school and for fun at home, and I'm absolutely fascinated by photos of actual snowflakes taken with powerful microscopes. Nature is full of such beautiful art! As an adult I still love cutting little shapes out of folded paper, then opening it up to see what amazing patterns I unknowingly created. I've discovered that the more I cut out, the more intricate and beautiful the snowflake becomes. The trick is to leave as little paper behind as possible, while making sure you never cut all the way across. For Christmas my mom surprised me with an Adonit Jot Touch with Pixelpoint, and I love it! It allows me to use my iPad to create my clipart, and I then refine it on my computer. 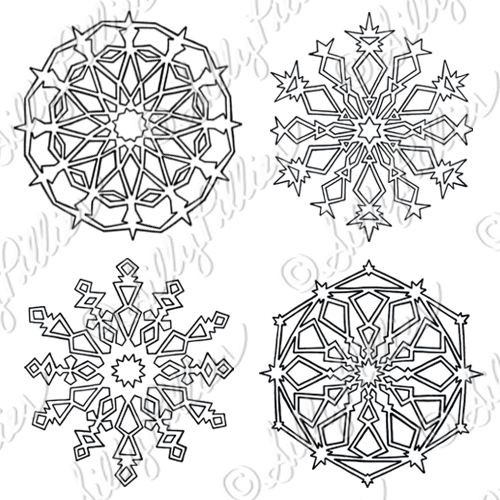 I made paper snowflakes over the weekend and loaded photos of them into my favorite drawing app, ProCreate, then used my new "toy" to trace over them and create the four snowflakes in the set. I hope I've done justice to these wonders of nature!